Barbara Dennerlein has long been considered one of the world’s foremost Blues and Jazz Hammond B3 organists and composers and in more recent years has added to her musical palette by playing the same music on pipe organs. The affable artist who lives in Germany took time out from her busy schedule to chat with Riveting Riffs Magazine about her first ever compilation album Best of Blues: Through the Years. “There are two things that came together, one is I love Blues and my roots are Blues. For a long time I wanted to do something with the Blues, because I have a lot of contact with the audience when I play concerts. Over the years many people have asked me on which of your CDs are the most Blues compositions? I realized that one day I should do some kind of a Blues compilation (album). This has been in my mind for many years and I have thirty-three years of Bebab Records, which is my own label. I thought it would be nice to do it now. I have been in the business for long enough now to do a compilation from my label,” she says, laughing lightly. Because it is a compilation album, it is important to note that the songs were all recorded at different times throughout the years and then remastered recently. Barbara Dennerlein says, “First I had to pick the songs I wanted on the album. There were many Blues compositions (that I recorded) over the years. The difficult part was to pick the ones that I want on the compilation. There are so many that I like. There are a lot of different albums with different songs and some of them were recorded live and some of them were recorded in the studio. Naturally the sound and the lineups are very different. I have solo recordings and band recordings. You have to make one kind of sound for a compilation and everything has to connect. It has to work together. I did not want (to leave) the impression that one song sounds different than the others. That was one of the reasons we had to remaster them. The second reason was I tried to make them even better than the originals. Kaitlin Wolfberg may not yet be a household name, but the people in the Los Angeles music community know who she is and she is highly respected. 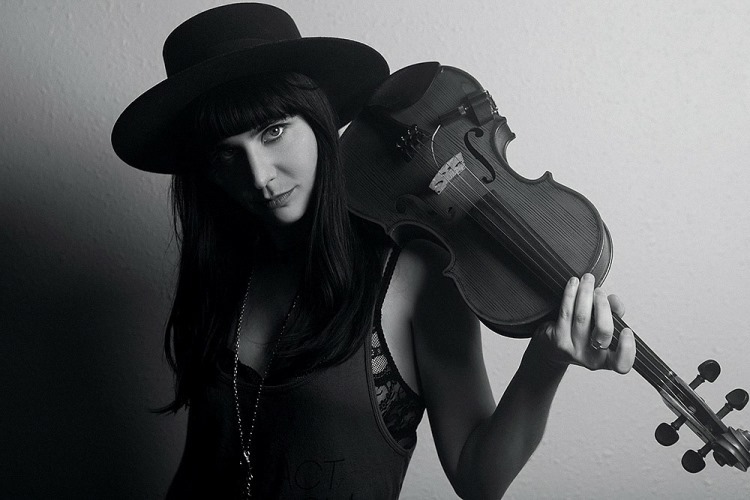 She appeared on stage playing violin with H.E.R at the 2019 Grammy Awards. It is Wolfberg’s versatility and her ability to shine that have seen her garner praise for her playing (violin and viola), as a conductor, arranger and composer. Oh and did we happen to mention recently she donned the producer’s hat and she also sings. Could there be drums or an electric guitar in her future? We do not know, but Kaitlin Wolfberg did have this to say about her appearance on the Grammy Awards stage. Perfect is not a word that you hear very often when Kaitlin Wolfberg describes one of her musical endeavors, as she continually seems to be pushing herself to achieve a higher level. 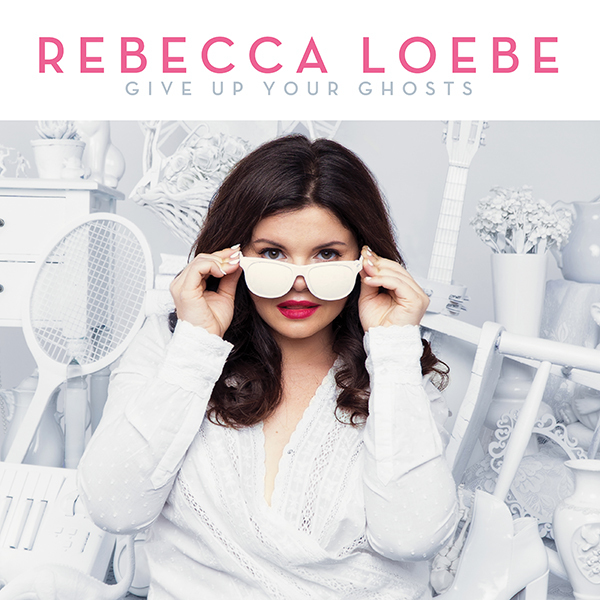 With the recent release of Rebecca Loebe’s fifth full length album Give Up Your Ghosts she has sent a clear and powerful message to the music community that she is a singer and songwriter to be reckoned with. Her vocals are pristine, her phrasing is impeccable and her songwriting draws you in as she paints vivid word pictures. Loebe (pronounced Low Bee) was born in Arlington, Virginia, her family moved to Atlanta, Georgia when she was eight years old, she was schooled at Berklee College of Music in Boston and she now calls Austin, Texas her home. She took time out from her rigorous North American and international tour schedule to talk to Riveting Riffs Magazine about the record Give Up Your Ghosts and her career. “The record is called Give Up Your Ghosts, because it is about what is holding you back or what is no longer serving you. That is the global theme of the whole record. It is pulled from specific lines from the song “Ghosts,” which are “Give up all of your ghosts / At least the ones you love the most / They were never holding you as close / As you were holding them.” That song came together pretty quickly in the writing process. Some songs I labor over for many months, but this one was a stream of consciousness writing experience. It felt like I was writing gentle instructions to myself for how to be happy, how to handle my life right now and how to handle (times of) feeling overwhelmed by the world at large. I just have to remember to relax and to chill out a little bit. I feel those lines in particular are about letting go of your fears or these giant roadblocks that you see ahead of you, because often they are really only in your own mind or they are much bigger in your mind than they are in reality,” explains Rebecca Loebe. Fiona Joy Hawkins is the owner of Q Pop Up Gallery in Australia, but you know her best as being an amazing Neo Classical / New Age and Contemporary Instrumental Music, pianist and composer, who doubles as a member of the ensemble FLOW and in collaboration with musician (also a member of FLOW) and producer Will Ackerman co-produced an award winning debut album for American artist Jennifer DeFrayne. Fiona Joy, as she is sometimes referred to is also a visual artist and some of her own paintings are featured in the gallery. Elegant while seated in front of her piano, vivacious while doing this Skype interview and giving us a tour of her gallery and down to earth enough to have become the mother to numerous orphaned Joeys (baby kangaroos), one immediately recognizes the deep connection between nature and her music. “The love for nature and animals has always been there from when I was a little girl. I used to bring home strays all of the time. I would land at home with a cat or a dog. I would find a dog with a broken leg or a bird with a broken wing or that was starving to death. I have always had a lot of animals. When my kids were growing up I was a wildlife information and rescue officer. I took some courses about kangaroos, so I was able to hand raise joeys (baby kangaroos). When the mother is killed and the joey gets thrown from the pouch someone has to raise it and that is something that I did. It was a volunteer job, but I loved it, because I love animals,” she says. “I have had readings of my movie that I wrote with my partner Ellen Guylas (Full House, Newhart, Three’s Company, Who’s The Boss?) I am very passionate about this particular project, because it is totally mine,” says Hope Juber. For those not familiar with her work, among other things she has acted in, worked on and produced the television series for, movies of and musicals based on Gilligan’s Island and The Brady Bunch, both of which were created by her father Sherwood Schwartz. “I had the idea for this movie a few years ago and I brought it to my partner Ellen Guylas and we started talking about it. It was the only project I ever took to my dad. I told him all the different ideas I had and what I was working on. When I took him this one he said you keep going with this one, because this is your commercial hit movie. He said I want you to keep going. Will you promise me you will? I said yes. Although Mandy Barnett made a name for herself portraying the legendary Country music singer Patsy Cline in the musical Always…Patsy Cline, her new album Strange Conversation showcases in splendid fashion her versatility as an artist, as she easily transitions into other genres. The album opens with Blues singer Mable John’s “More Lovin’,” and Barnett turns up the heat right away with a sultry vocal performance that will have you tapping your toes, nodding your head and moving your shoulders. 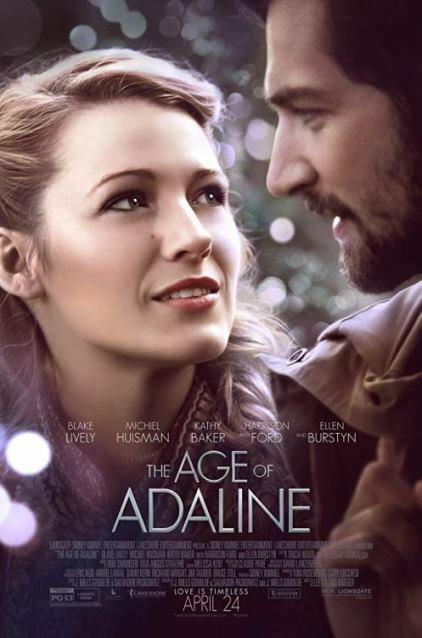 The song is a duet with Arnold McCuller and the two singers complement each other well. It becomes immediately apparent on this album that the producers Marco Giovino (Norah Jones, Robert Plant, and Patty Griffin) and Doug Lancio (Gretchen Peters, John Hiatt, and Patty Griffin) ensured that Mandy Barnett was accompanied by musicians who understood that their role was to compliment Barnett. They become the perfect dance partners with Mandy Barnett leading the way and like any truly great performance you find yourself caught up in the moment. Tom West’s organ sets the mood, Viktor Krauss is on bass, Giovino keeps beat on drums and Lancio is the guitarist. Grammy Award winning sound engineer Gord Hammond from The Nuthouse studio in Sheffield, Alabama does a superb job. 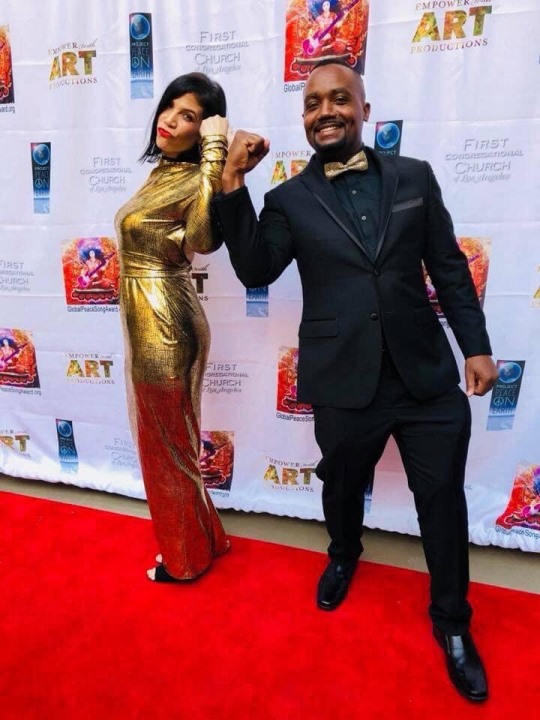 One listens to Marvin and Kristen Speller talk about their married life, about Doubledown Cosmetics, the work they do in the community and Kristen’s music and you are immediately struck by how supportive they are of one another and the warmth of their love for one another. The seeds were sown a long time for their cosmetic line, as Marvin explains, “I will give the shorter version of this. Almost nine years ago when we first met, I was in North Carolina and I had custody of my daughter and she had a dance recital that weekend. As a guy I knew nothing about makeup. I didn’t know what I was going to do. I put my thinking cap on and I called Kristen up and I said I need help and lots of it. She knew a lot about makeup and I thought she was an expert. She was always so passionate about it. Fast forward down the road and she was always sharing makeup tips with people and always watching people and the gurus. I have always been of the mindset that when you are with someone that you love, a close friend or family member and definitely a significant other you try to help them make their dreams come true. Get ready folks, because coming your way in early February (2019) is a sensational and fun album by Charlie Faye & The Fayettes. The new record is The Whole Shebang, literally the name and the listening experience. 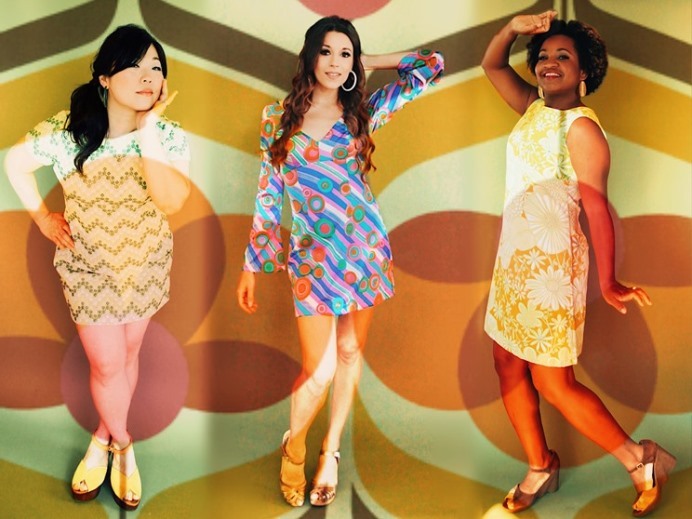 The trio of ladies from Austin, Texas, boasts great harmonies, led by Charlie Faye and supported by her Fayettes, BettySoo and Akina Adderley. Influenced by girl group of the sixties and Soul from the sixties and early seventies they are so good that listeners may find themselves saying I am sure I have heard this song before somewhere and assume the trio is merely covering songs from yesteryear and yet that is not the case, as these are all original songs. “In fact that happened at a show of ours last weekend. Someone who wasn’t really familiar with us, came up to us after the show and that person said I thought these were all songs from the sixties until you said something about that you had written all of these songs. I think that happens a lot,” says Charlie Faye. 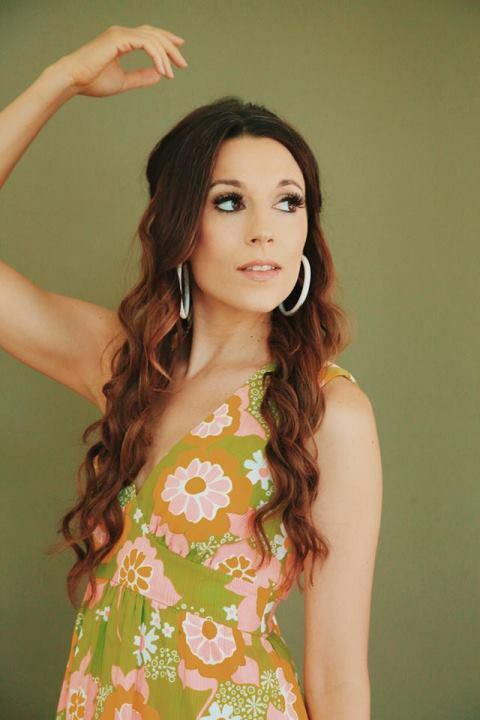 Hayley Sales - "Like Never Before"
Rarely in this century has an individual come along who possesses the ability to equally amaze others with her acting and her musical talent to the degree that American / Canadian Hayley Sales does. It has been an incredibly busy late summer and early fall for the affable Hayley Sales, as she recorded one album, is recording another, shot a film and a television episode and in the midst of all that she also got married. Sales, took time out from her busy schedule to sit down with Riveting Riffs Magazine to discuss at length her album Slightly Out of Tune, which will be released in the spring of 2019 (She has posted some songs on YouTube), her twin careers and to share a little bit about her life. The self-described romantic co-produced her album (and yes she really does know her way around a recording studio) with her father Richard Sales, known for his work as a producer and sound engineer with the Grateful Dead, The Ramones and Miles Davis. The songs on Slightly Out of Tune range from those that invite the listener to dance, such as the opening track “I Don’t Believe,” and the retro infused “Waiting It Out,” backed by a stellar horn section and the soulful “Out of Tune,” to her romantic love letter “Like Never Before,” co-written with Sharon Stone. 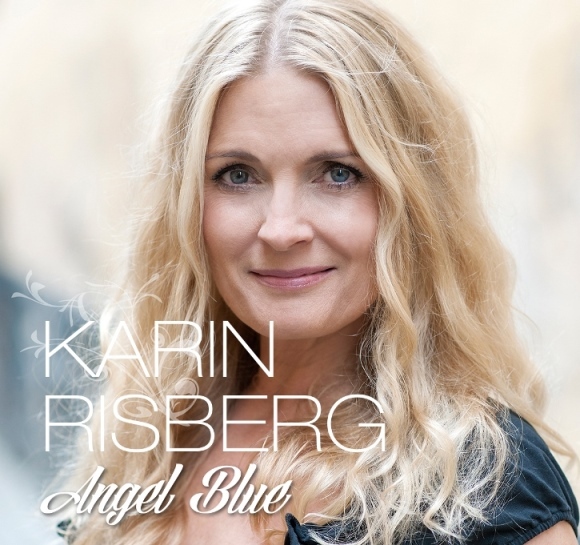 From Pop singer to Swedish Country music star and from the small town of Skelleftehamn, just a couple of hours from the Arctic Circle to France, back to Sweden and onstage in Nashville with the legendary Time Jumpers and Vince Gill, that just about sums up Karin Risberg’s career as a singer, songwriter and guitarist. Risberg has a 2019 tour planned with her friend Country music singer Cina Samuelson as the duo Honky Tonk Angels, a duo that still performs at times with Kerstin Dahlberg as the trio Three Chicks. The group Three Chicks has been performing together since the 2010 Lida Country Music Festival in Sweden, while Honky Tonk Angels made their debut in September of this year (2018) when they performed at the Sweden Country Music SM. So where did this all begin for Karin Risberg? Her answer is not surprising, as she continues the long line of outstanding Swedish singers and musicians who have come from small towns and villages throughout the country. When you listen to Brad Cole speak, the casual way in which he talks about his own accomplishments and the gratitude that he expresses would lead the uniformed to conclude that he is just a guy trying to find his way in the music world. That is unless, you already know enough about Cole to ask him about being the musical director and keyboardist for Phil Collins for twenty-eight years or his work as a musician, sound engineer, arranger and producer with a star studded array of artists that includes Paula Abdul, Gino Vanelli, Dave Koz, Michael Bolton, Darlene Koldenhoven, Rita Coolidge, Brenda Russell, Peabo Bryson, Al Jarreau and the late Natalie Cole, as well as numerous others. Brad Cole who as we write this is in the midst of a North American tour with Phil Collins, took time out recently just prior to his leaving for the tour, to talk about his career. Brad Cole grew up in a suburb of Philadelphia and despite the fact it was a burgeoning scene for Doo Wop, Pop Music and Rhythm and Blues in the late 1950s and throughout much of the 1960s, Cole was drawn to music far removed from what most people his age were listening to at the time. 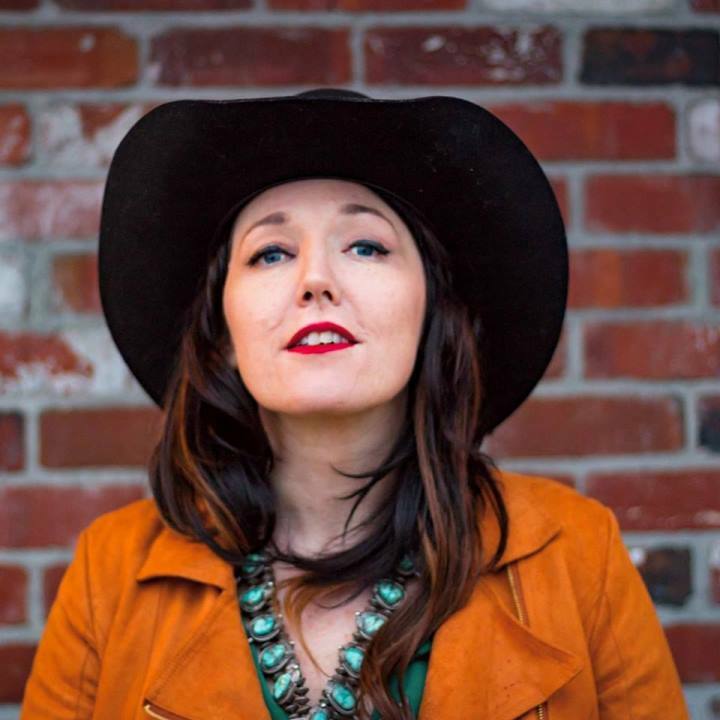 Chasing Parked Cars a new album from Portland, Oregon’s Terri Lynn Davis scheduled for release on February 15th on the eve of her national tour may be the best album that you hear by a still relatively new artist in 2019. Consisting of five songs, which we suppose many would refer to as an EP, but here at Riveting Riffs Magazine we do not make a distinction, it boasts a collection of finely crafted original songs and superb musicians. While the album is more Country than it is of any other genre the best song on Chasing Parked Cars is “Times Past,” which merges pedal steel guitar and electric guitars with fabulous vocals that remind one of Stevie Nicks. The melody also suggests, but in no way copies Fleetwood Mac. 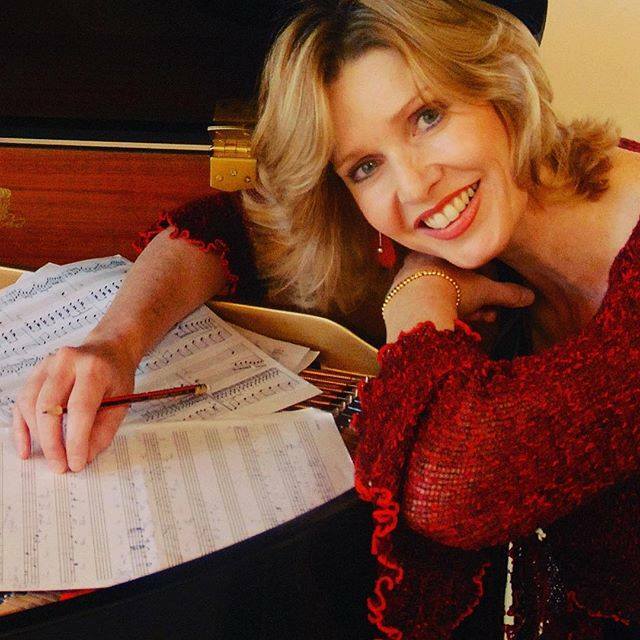 Terri Lynn Davis wrote the song “Times Past,” which showcases her fabulous vocals, surprisingly so, because she had very limited formal vocal instruction earlier in life. Yet, those amazing vocals were also evident on a previously recorded album with, “Montana Love Song.” Davis is also an amazing songwriter and “Times Past,” paints word pictures, “river of time,” and the desire to slow everything down “be still my mind.” The gentle melody is matched by lyrics such as “floating down the river with you.” You watch a story unfold of two people the first time they met with the sun glistening on their skin and with their toes in the sand. Musicians of note on “Times Past,” are Tucker Jackson on pedal steel, lead guitarist Nick Champeau and rhythm guitarist Jacob Miller. Ben Nugent keeps time on drums. Terri Lynn Davis gives credit to her producer Ryan Oxford for assembling the fine cast of musicians for Chasing Parked Cars, which also includes Andew Jones on bass guitar. 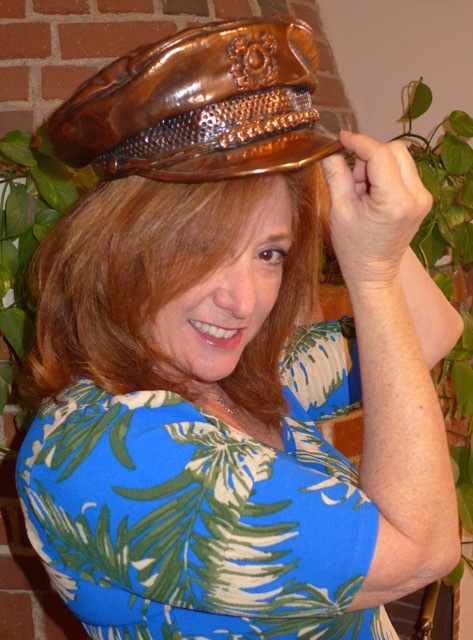 Michele Linn who appears as a background vocalist as performed with Terri Lynn Davis for several years. All written material, all photographs and all designs are protected by copyright © and patents by the writers, photographers, editors, designers, musicians, songwriters musicians and filmmakers who contribute to Riveting Riffs Magazine or have by consent allowThe third song on the album “Black Rain,” is poignant in its social commentary, Thompson explains, “Black Rain was inspired by all of the shootings that have been happening for a good long while. I was thinking about Ferguson when Ferguson first happened. Then I got thinking about Virginia Tech and some of these other instances, which were not police oriented shootings, such as San Bernardino with the terrorists. It is making me ill. If you think about these schools it just keeps getting worse and worse with the copycat scenario. It is just too much and I felt like I needed to write something. I just want to say how can we stop this? People need to think about it. ed their work to be exhibited in Riveting Riffs Magazine, and / or Riveting Riffs Magazine and Joe Montague. Use of any material that appears in Riveting Riffs Magazine, without the written permission of the publisher and where applicable other rights holders, is strictly prohibited and is subject to legal action. This includes the reprinting, in whole or in part on the internet, by photocoping, reposting on blogs or other websites or magazines or newspapers that appear in print or quoting more than 200 words of any one composition, on terrestrial radio, internet radio, satellite radio, webcasts or television. The Riveting Riffs Magazine logo is copyright and trademark protected any infringement will result in legal action.